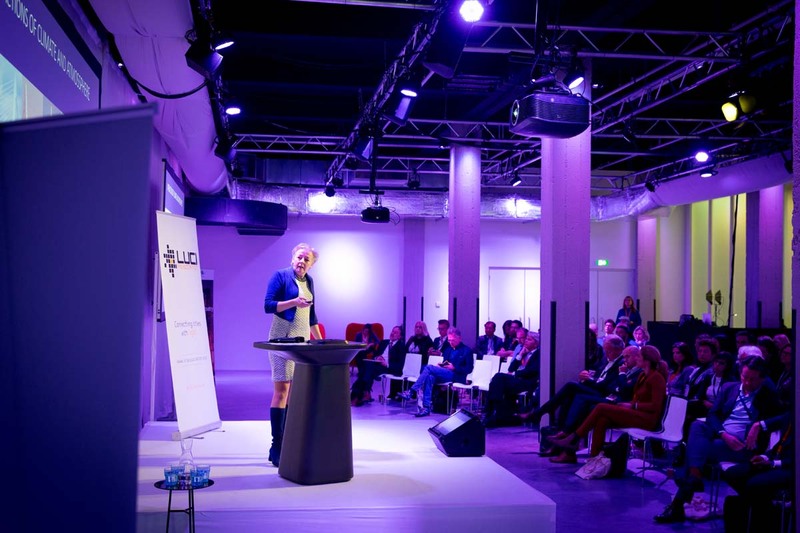 Rotterdam, one of the most dynamic cities in the Netherlands and the largest port in Europe, hosted the LUCI City under Microscope gathering over 170 city representatives and lighting professionals from 35 cities on 27 – 29 March 2019. 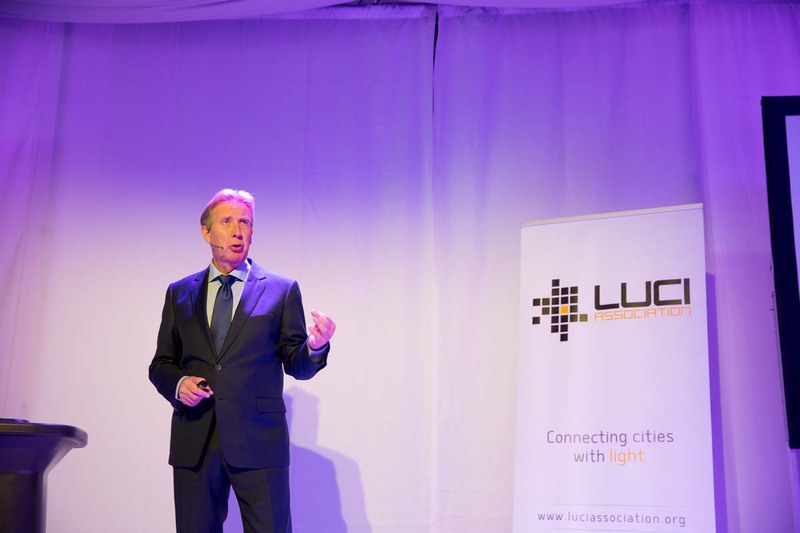 Deputy Mayor of Rotterdam Bert Wijbenga welcomed participants to the event, organised by the City of Rotterdam and LUCI, for two days full of networking and learning on the lighting strategy of Rotterdam via conference sessions, keynote speeches, workshops and demos. 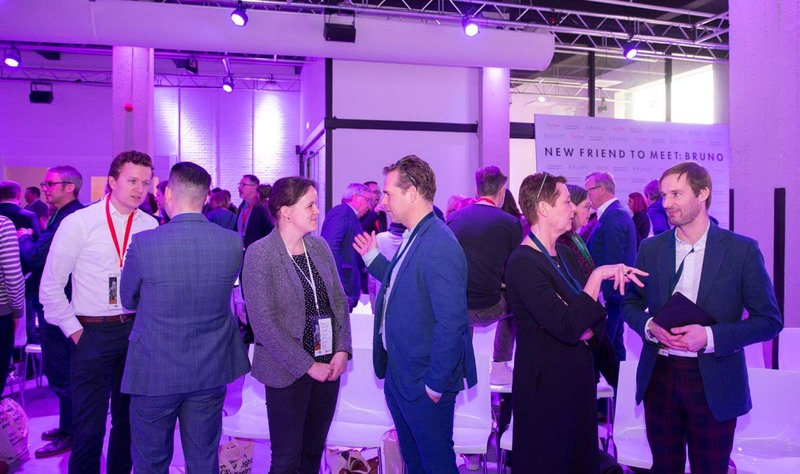 The event saw urban lighting professionals – ranging from municipal lighting managers, technical experts, industry leaders, urban planners and lighting designers – come together in an atmosphere of positive energy, facilitating productive exchanges and inspiring new ideas. 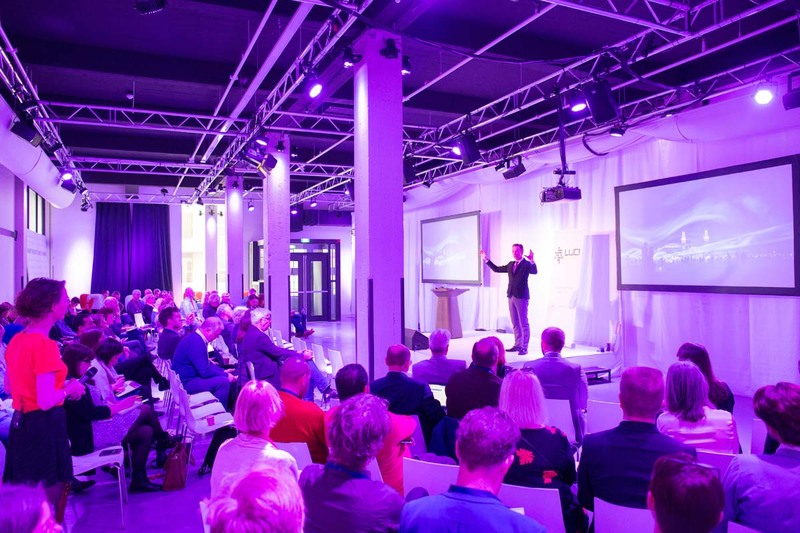 The city of Rotterdam, which rebuilt itself after being almost completely destroyed during World War II, shared how it is preparing for the challenges of the future. Following a presentation from Paul van de Laar, the General Director of Museum Rotterdam on the history of Rotterdam’s urban development, a keynote speech from Jan Rotmans, Professor in Sustainability Transitions at Erasmus University Rotterdam, addressed some of the major challenges facing the world today – such as rising intolerance and climate change – and some of the steps that the City of Rotterdam is taking to deal with them. Participants gained an insight into some of the city’s major lighting projects, the design and technical choices made, and the reasons behind them. Speakers from the municipality, Annemieke Fontein, Head of Landscape Department, Peter Wijnands, Asset Manager Public Lighting and Edwin van‘t Oor, Technical Engineer, shared the details of the Rotterdam lighting plan and some of the city’s recent projects. These included the dynamic street lighting pilot in the Bredenoord residential district (with partner Rubenvan Bochove) as well as the new LED lighting for the historically classified Maastunnel (with Rutger Mullemeister), which aimed to recreate the look and feel of the tunnel’s original HPS lighting. 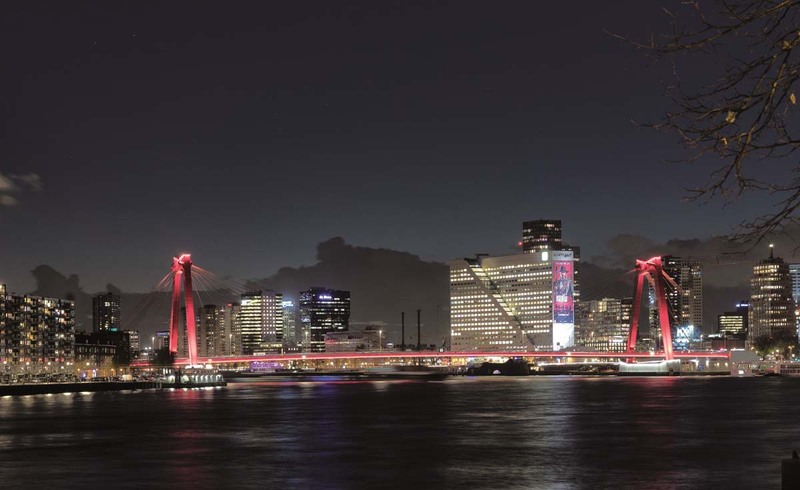 Another highlight was the presentation on the lighting design of the Willemsbridge, one of Rotterdam’s major landmarks, by Christian Freisfeld of Studio DL who explained the concept and implementation of the lighting for the bridge, as well as revealing a city’s identity via light. Participants also had the opportunity to see a few of these projects first-hand during an evening bus tour of lighting in Rotterdam. 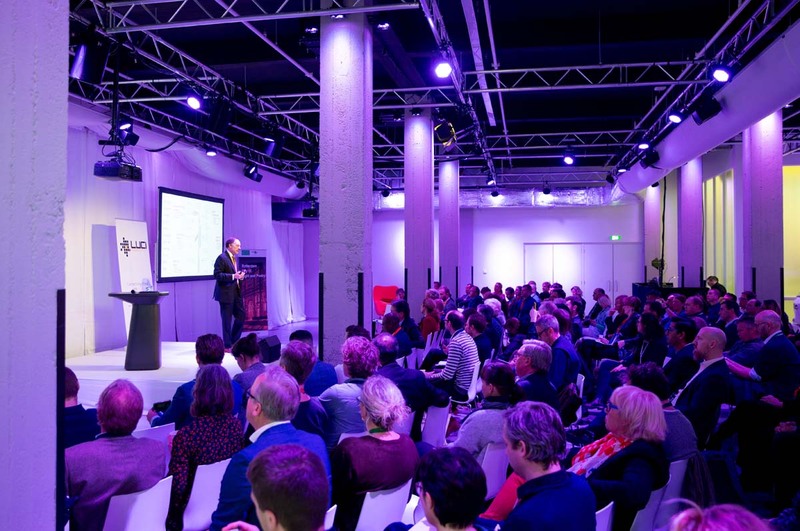 Keynote speaker Wim Pijbes, Director of Droom en Daad and former General Director of the Rijksmuseum, set the stage on day two with an inspiring speech on the importance of strong cultural leadership and policymaking fostering the creative sector in cities. Rotterdam is unique for its many public space light art installations featuring, or inspired by poetry, and this was the main focus of the session, with speakers sharing their different perspectives on light, art and poetry. Creative and Artistic Director Craig Morrison, of CMD, stressed the importance of collaboration between cities – particularly in the current global context – and the role of creative minds from the cultural sector in facilitating such international dialogues; Marjolijn van der Meiden from CBK Rotterdam spoke of the value of storytelling via public light art in Rotterdam; and Kila van der Starre from the University of Utrecht shared her research on street poetry and poetic light art in the Netherlands. The session highlighted the important role of public art and culture in cities, both within the city as a tool for storytelling and fostering inclusion, and also beyond city borders, as a catalyst for creative collaboration with other municipalities and artists across countries and continents. A series of innovative projects from the region were also on the agenda, aiming to help participants broaden their perspectives and experience new state-of-the-art planning tools. Graham Colclough of EIP-SCC spoke of the myriad possibilities provided by the streetlighting lamppost, which could be much more than just a lamppost. The Humble Lamppost initiative aims to explore and capitalise on the opportunities for innovation provided by this new approach to smart cities. Joop Polfliet, Manager at City of Rotterdam, shared Rotterdam’s 3D mapping model and its role in the municipality’s urban design process. 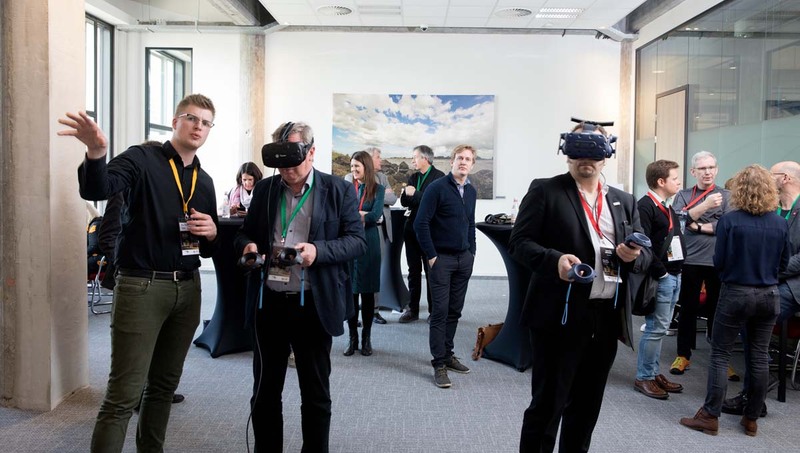 This was followed by hands-on demos of the latest augmented and virtual reality tools that can help urban lighting professionals as they design and build the city nightscape. Other highlights included projects from two other cities in the region: René Oomkes from the City of The Hague explained the idea behind the city’s digital lighting master plan developed with Ritsert Huijsman of Studio DL; and the winning team of the Dutch national Light Challenge contest shared their design concept for a new landmark for the harbour of Harlingen city based on absorption and reflection of natural light. Access the archived event pages for more information on the programme and speakers.